Not that kind of passport. The other kind of passport. 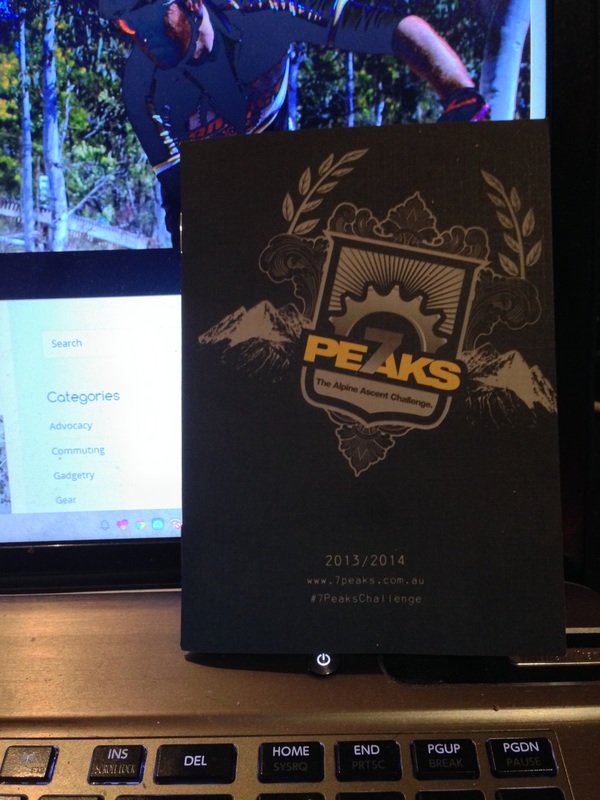 Specifically a 7 Peaks Challenge passport. Yep, I intend, sometime over this summer, to head south and ride up some mountains, logistics permitting. I rode up Mount Hotham around this time last year, and had one of my best days out on the bike into the bargain. This year, I hope to get myself a three-day or four-day weekend and knock over Mount Buffalo, Mount Hotham, Dinner Plain and Falls Creek, thus getting me the four summits required for a partial completion of the challenge. Baw Baw, Lake Mountain and Buller may have to wait for a different trip, though. My sketched-out plan is to drive down early on a Friday with a couple of bikes on board, arrive in time to do Bright to Mount Buffalo, then retire. On the Saturday, I have a big day planned, with 250km of road over Hotham, down into Omeo and return to Bright via Falls Creek and Tawonga Gap. Then on Sunday, drive out to Omeo and ride Dinner Plain return, then drive home to Sydney. In between, I’ll probably be overnighting in Bright, and enjoying the hospitality of the Bright Brewery, where my friend Jon is head brewer, so some of that riding will inevitably be in a very hungover state. I’ll probably also be calling in at Beechworth, which won’t help on that front. If you’re a reader of the blog (I know there are at least a couple of you) and you’re in the area, I’d love to catch up and maybe see you on one of the rides. Or in one of the pubs. Fingers crossed I can get the weekend pass, because frankly, I’m excited. I’ve been watching a fair both of YooToob cycling recently. Today I stumbled across this BBC documentary on Tom Simpson.